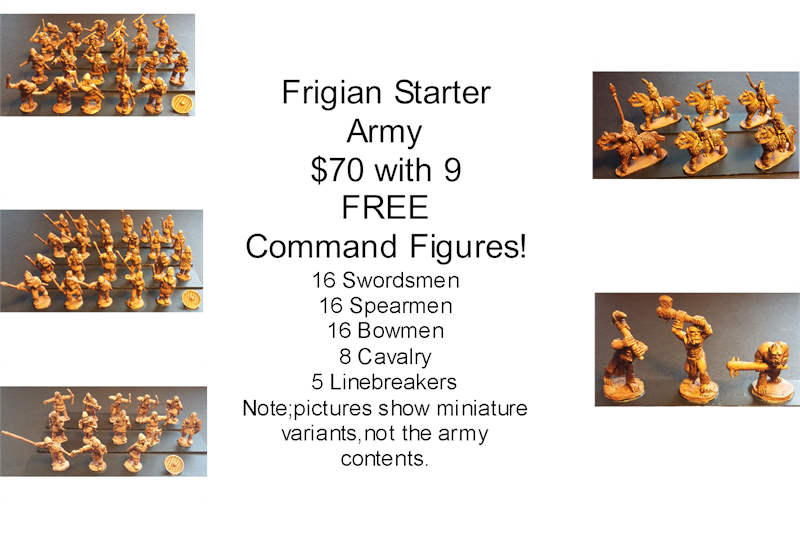 This is the Frigian Starter Army. It contains 70 figures, and comes with all neccesary mounts, shields and weapons. 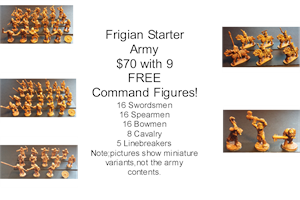 9 FREE Command figures. 3 Officers, 3 Standard Bearers and 3 Musicians.